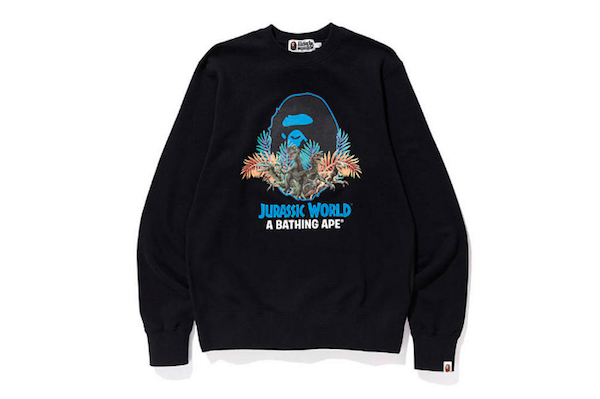 Japanese clothing retailer Bape has joined forces with film franchise Jurassic Park to create a collection based on Jurassic World: Fallen Kingdom—the latest installation from the series. 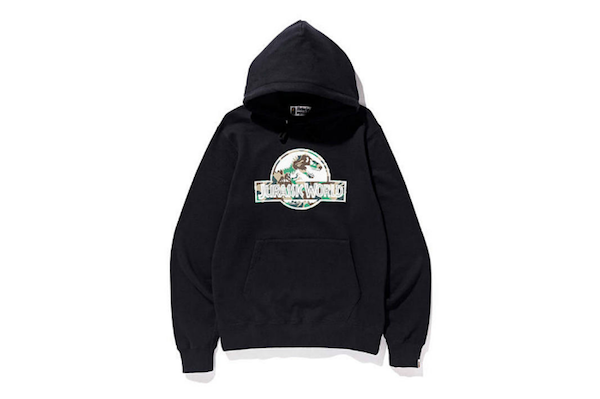 The collection sees a wide range of clothes and accessories, with some garments carrying a redesigned version of the movie’s iconic ‘T-Rex’ logo. 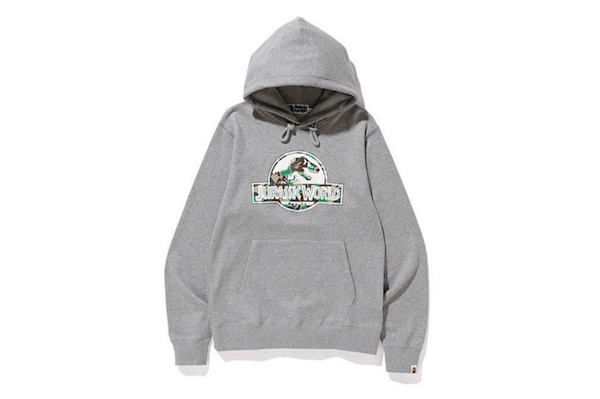 Expect to see full-zip hoodies, graphic print t-shirts, long sleeve tops and denim jeans. 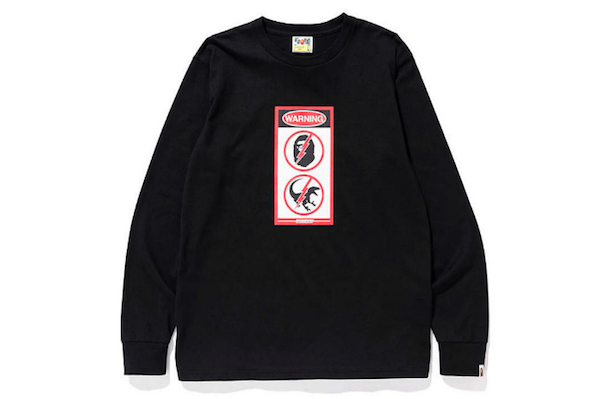 Some of the pieces from the collection carry Bape’s popular camo pattern print while other garments feature Bape’s adorable character ‘Milo’. The garments are dressed in dark colorways such as black, gray, and dark blue. 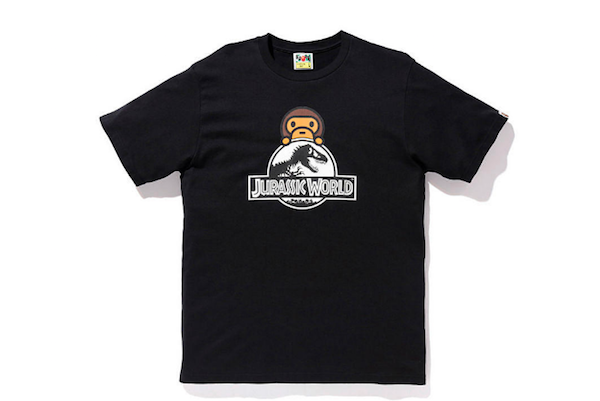 The collection will be available at Bape retailers and online starting 14 July.